PT Bank Pembangunan Daerah Kalimantan Timur - BPD Kaltim or referred to as "Bankaltim" is a well-established regional development bank in Indonesia, based in Samarinda East Kalimantan Province. Bankaltim is owned together by the Government of East Kalimantan Province and the city/regency Government in East Kalimantan Province and the city/regency Government in North Kalimantan Province. At present, Bankaltim is 37.73% owned by the provincial government of East Kalimantan, 4.67% by the provincial government of North Kalimantan, 39.65% by all regency/city governments in East Kalimantan, and 17.96% by all regency/city governments in North Kalimantan. 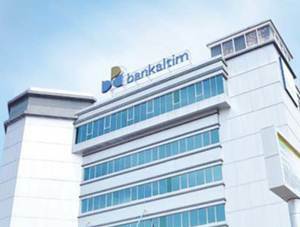 As of December 2016, Bankaltim runs its business through 15 conventional branch offices, 73 conventional sub branch offices, 84 cash offices, and 30 payment points. Bankaltim's performance in 2016 showed a significant increase compared to 2015. According to PT Bank Pembangunan Daerah Kalimantan Timur Annual Report 2016 as quoted by JobsCDC.com, Bankaltim managed to record net income of Rp 499.94 billion in 2016. This total net income reflected an increase of 51.90% from the previous year of Rp 329.12 billion. Maximum age of 22 years old (birth on 1 September 1994 and thereafter). Minimum background in Diploma Degree (D3) with minimum GPA of 2.75 (scale 4.00). Good looking with height and weight proportionate. Never get into drugs and other law abuses. Computer literate and operating knowledge of office application. Willing to be placed in all working area of BPD Kaltim Cabang Utama Samarinda, including Muara Badak, Anggana and Sanga-Sanga. JobsCDC.com now available on android device. Download now on Google Play here. Please be aware of recruitment fraud. The entire stage of this selection process is free of charge. PT BPD Kaltim - D3 Fresh Graduate Frontliner, Admin Staff Bankaltim August 2017 will never ask for fees or upfront payments for any purposes during the recruitment process such as transportation and accommodation.